In the classic style of The Giving Tree comes a touching debut picture book about the unfaltering love between a boy and his pet. One day a boy finds a dog. He takes him home, already dreaming of the adventures they will have and the games they will play. But when the boy gets hurt, he and his new best friend are separated. Will the boy be able to grow up quickly enough to get his furry companion back, or will life keep getting in the way? 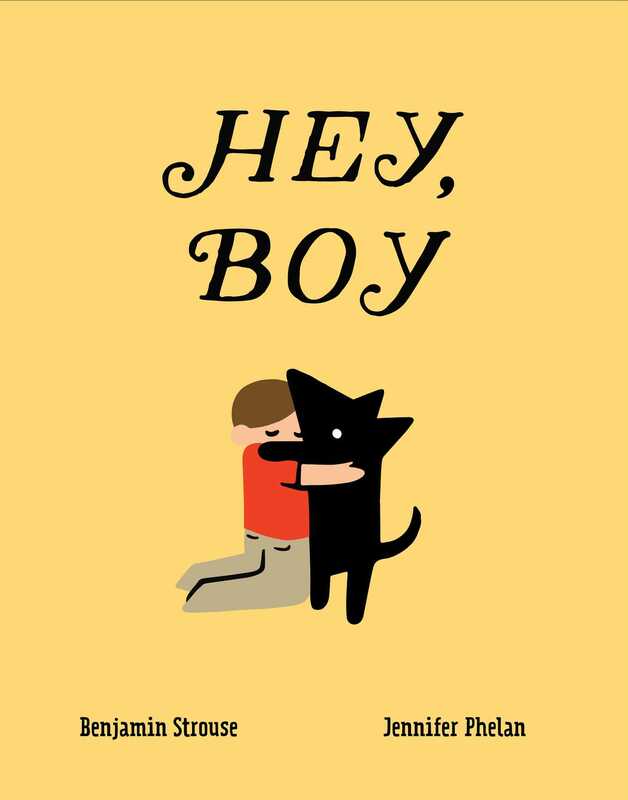 With dreamily spare text and sweeping yet simple illustrations, Hey, Boy is a reminder that true friends always find their way home to each other. Benjamin Strouse, who grew up in New York City, found his first dog, Ralph, in Anchorage, Alaska. Benjamin has worked as a lawyer, producer, and musical theater composer, and lives in Maplewood, New Jersey, where he takes his current dog, Phil, his wife, and twin boys on as many adventures as possible. For more about Ben visit BenjaminStrouse.com. Jennifer Phelan is an acclaimed illustrator with published works in American Illustration and 3x3. Her first children’s book, Hey, Boy, published by Simon & Schuster Books for Young Readers, was a New York Times Best Illustrated Children’s Book of 2017. She lives in Toronto. Learn more at J-Phelan.com. "The messages of patience, love, and loyalty continue to the end....Like a new old friend, it's sure to be a book worth revisiting." * "Strouse and Phelan perfectly complement each other in this meditation on the passage of time...The two channel Shel Silverstein's The Giving Tree....Luminous." "A bittersweet story of love and loss, reconciliation and aging."